Although MPI has been automating some of the most complex processes in the investment casting industry for well over a decade, our expertise is not limited to a specific industry or type of product. MPI’s automation team can engineer a custom automation solution that is just right for your organization. MPI is capable of full-scale automation, or we can automate a single process for your facility. We will work with you to evaluate your specific needs and then create an automation plan that will help you now and when appropriate, prepare you for the benefits of expanded automation in the future. All MPI automation projects feature MPI’s Smart Controls™, our state-of-the-art process control technology that utilizes user-friendly, Windows-based software with an intuitive touch-screen display. This technology is menu driven and simple to operate, and does not require the operator to be a robot programmer. World-class process control means world-class consistency. 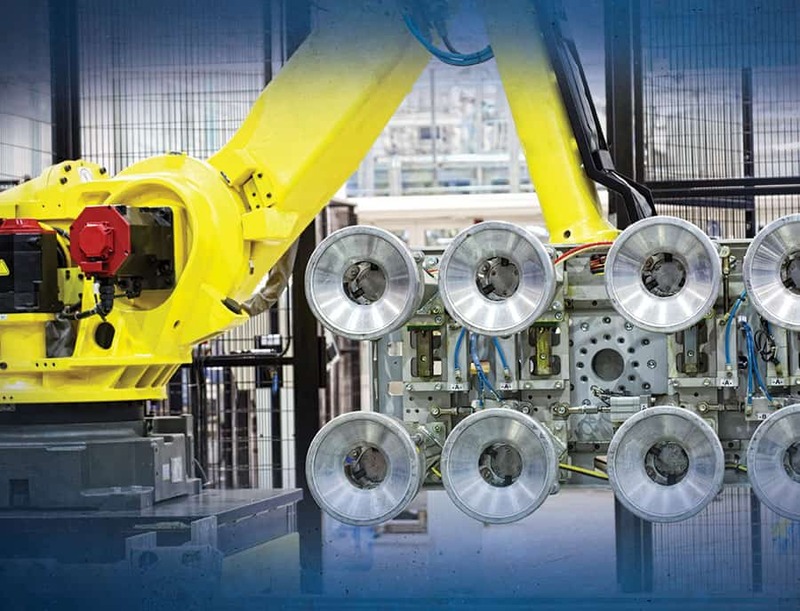 MPI also specializes in low volume automation and can help with even the most difficult automation challenges. Contact us to learn how MPI can create an affordable solution tailored to your specific needs that will provide you with the highest levels of productivity and the fastest ROI.